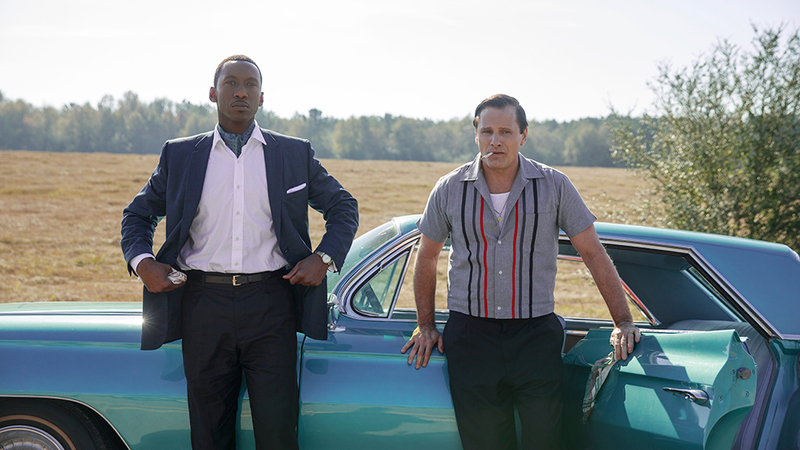 Scott finds Green Book‘s “indie cinema” credentials intact and more depth than the Oscar Bait ads will have you think. I embarrassed myself on social media this week. That may be nothing new in general, but since my gaffe was related to my film knowledge, it actually mattered to me. I posted that I was supporting “indie cinema” by going to see Green Book, the new film starring Mahershala Ali (Moonlight) and Viggo Mortensen (Captain Fantastic). A fellow film critic laughingly pointed out that Green Book is a DreamWorks production and not an “indie” by any stretch of the imagination. So being one to endlessly ruminate on my mistakes, I kept thinking “Why did I think this was an indie film?” And a sad (but true) answer occurred to me. In these modern times, studio films have superheroes, Star Wars characters or some other kind of pre-existing franchise to provide a built-in audience. Everything else is an “indie film”. Or at least feels like an “indie film” — a literate movie populated by actual characters offering a narrative that wasn’t created by a committee and box office analytics. Tony Vallelonga (Viggo Mortensen) is a bouncer at the Copacabana in New York City. When the club closes for remodeling, he needs a job to keep food on the family table. A record company hires him to drive (and informally bodyguard) pianist Dr. Don Shirley (Mahershala Ali) during his tour of the American South. Dr. Shirley quickly finds himself in a region of the country that welcomes him as an entertainer, but expects him to use an outhouse as his restroom and eat in the kitchen with the rest of “the help”. The two men have preconceived notions about one another that are dispelled as they spend eight weeks in close quarters. Green Book offers some subtle (and, at times, not so subtle) commentary on the nature of identity. Dr. Shirley is a man without a country. He is tolerated by white America because of his musical gifts, but he knows what they are saying behind his back. And he doesn’t fit in with the average black American of the early-1960’s because of his higher education and cultured upbringing. The film makes sure to depict the scorn and distrust of African-Americans toward Dr. Shirley right along with the hatred and vitriol heaped on him by white southerners. The film examines the idea of compromise and the degree to which we must deny who we are to get along in the world. Dr. Shirley is a classically-trained pianist who wants to travel the world playing Brahms, Chopin and Mozart. Instead, he plays a blend of classical, jazz and popular music to have a broad appeal to the very masses who look down on him. Not only does he have a racial identity crisis, but he also has a professional one. This is the time of year for feel-good, family cinema, and Green Book manufactures a number of “God Bless Us, Everyone” moments in its third act. However, the relationship at its core helps to dilute its sentimentality before it overwhelms the film. Like Dr. Shirley, Green Book doesn’t sell out entirely, just a little bit.